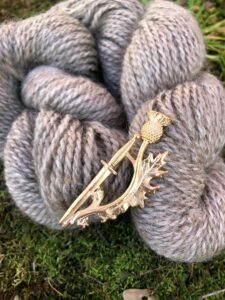 Plus we have collaborated with Trilogie Jewelry Designer, Janet Cadsawan, with her stunning Thistle and Sword pin to adorn your cowl, shawl or sweater. This makes our Outlander inspired look complete! Each skein is 200 yards, light worsted/DK Weight. 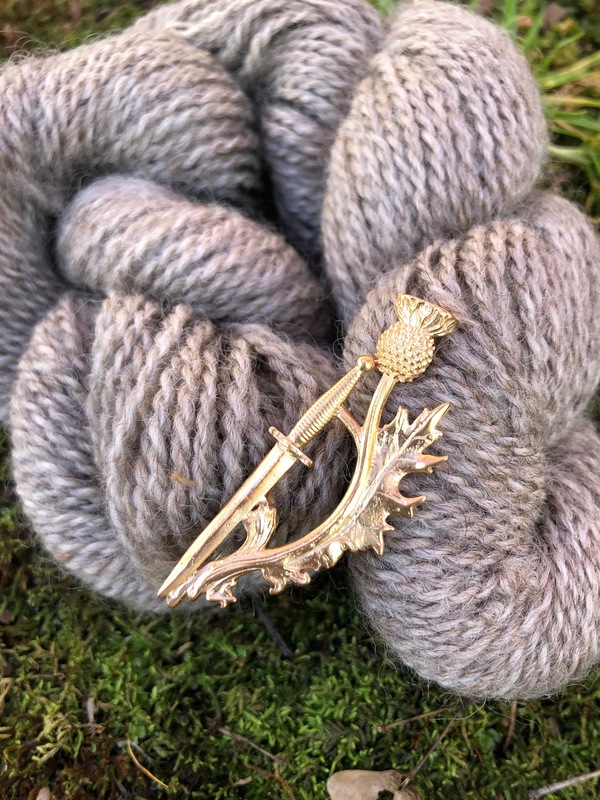 The thistle pin is cast in brass and approximately 2 inches in height. All materials have been farmed, spun, designed and manufactured in our founding colonies here in America.